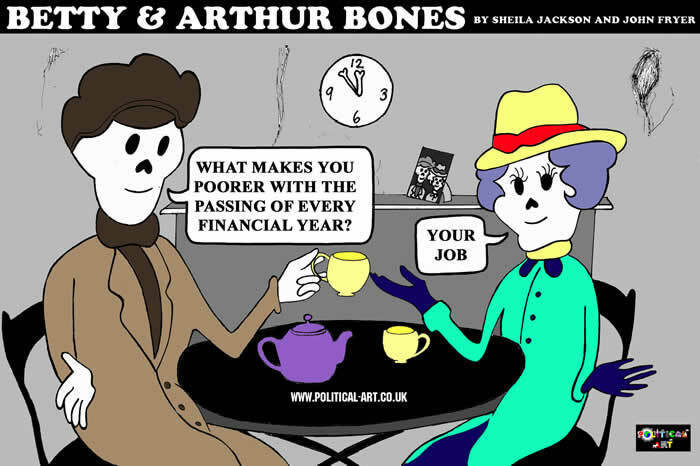 Meet Betty and Arthur, a skeleton couple who have ‘lived’ for eight hundred years in Bone City, a sprawling metropolis of the haves, the never haves…and the never had a hope in hell. Guess which group Betty and Arthur fall into…yes you’re right…they’re just like you. You might find their trials and tribulations very familiar…to your own.